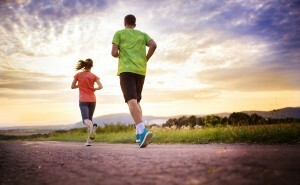 Ovarian Cancer: Does active sun exposure help to prevent it? Ovarian cancer, like most cancers, is nothing to trifle with. There are 22,280 new cases of ovarian cancer and 14,240 deaths annually in the U.S. Compare that death statistic to melanoma, which has a death rate of only 9,730. (And I might mention that people who are regularly in the sun have a reduced risk of melanoma.) 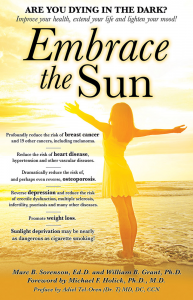 But are there any indications that ovarian cancer is reduced by sun exposure? Yes. The National Cancer Institute’s Cancer Mortality Map also shows that ovarian cancers are much less common in sunnier Southern and Southwestern States than in the North and Northeast, indicating a protective effect of sun exposure. 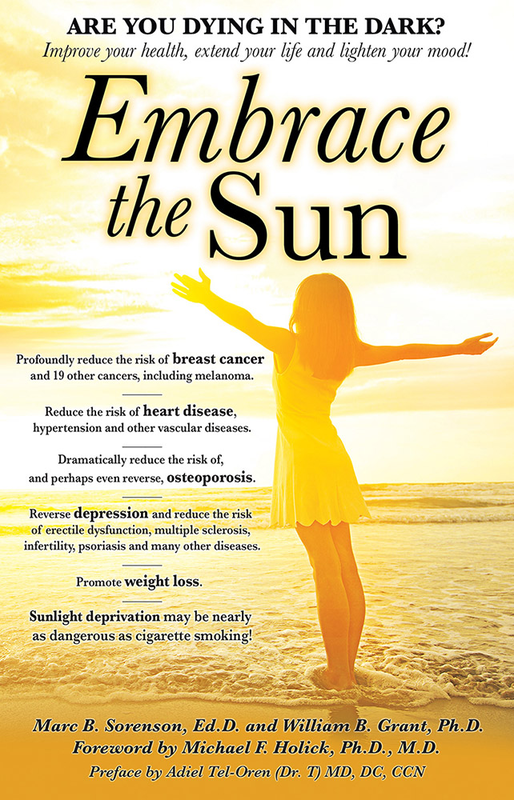 Research has also demonstrated a relationship between high sun exposure and low risk of ovarian cancer. 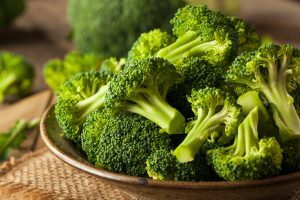 For example, an Australian investigation showed that women in the highest third of sun exposure, over a lifetime, had a 30% reduced risk of all endothelial ovarian cancers, a 53% reduced risk of borderline tumors and 22% reduced risk of invasive tumors. And, in one piece of research using the Nurses’ Health Study ll, sun exposure was associated with a 33% reduced risk of ovarian cancer. Ovarian cancer mortality rates were also found to be strongly inversely correlated with solar UVB doses in an ecological study by Drs. William Grant and Cedrick Garland. Sun avoidance is one of the most deadly practices ever perpetrated on the public. 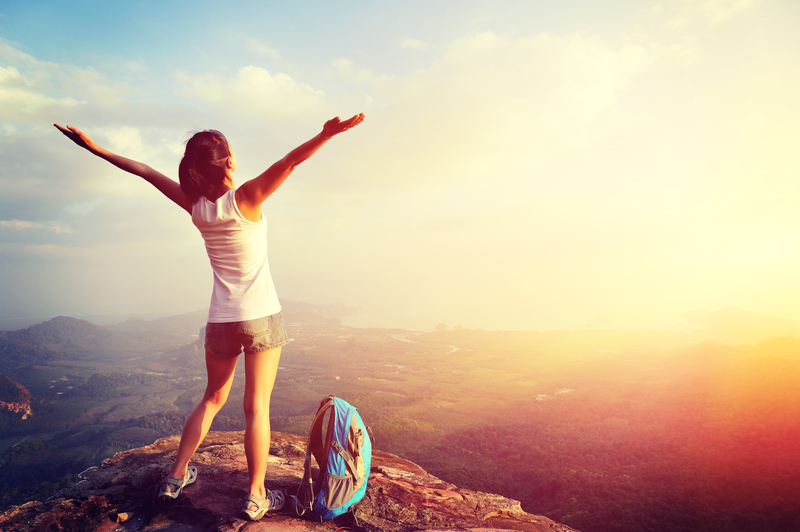 Women, carefully embrace the sun and reduce your risk of this potentially deadly disease. Siegel RL, Miller KD, Jemal A. Cancer statistics, 2016. CA Cancer J Clin. 2016 Jan;66(1):7-30. American Cancer society statistics, 2017. Grant, W B. Information available at SUNARC.org, and at the National Cancer Institute’s Cancer Mortality Maps and Graphs. Tran B, Jordan SJ, Lucas R, Webb PM, Neale R; Australian Ovarian Cancer Study Group. Association between ambient ultraviolet radiation and risk of epithelial ovarian cancer. Cancer Prev Res (Phila). 2012 Nov;5(11):1330-6. Teen tanning by Marc Sorenson, EdD…. “There are lies, damn lies and statistics,” or so the saying goes. Karen Selick, of the Canadian Constitution Foundation, some time ago penned a press release entitled: Don’t outlaw teen tanning. I was fortunate that a friend thought I’d be interested. He sent me the release, even though the release was published in 2013. Selick’s discussion gives an excellent explanation of how the twisting of statistics may lead to a total misinterpretation of the truth. She discusses the fact that anti-tanning advocates consistently state that using indoor tanning equipment before the age of 35 results in a 75% increase in the risk of developing melanoma. That does sound frightening, but when the figures are looked at more closely, she explains that the actual risk of young people contracting melanoma is almost negligible. Her reasoning is brilliant. She consulted the Statistics Canada Causes of Death database, and demonstrates that in the decade from 2000 to 2009, the last decade from which statistics for teens were available, 5 Canadians 19 years of age or younger died from melanoma. In other words about a half-person per year. I have mentioned in this blog that there are 324 lives lost from diseases that are associated with sun deficiency for every life lost to diseases associated with sun exposure, and since sunbeds produce the same type of light as sun exposure, it is not surprising that sunbeds have healthful effects. We also now have research that demonstrates that over 20 years, women who use sunbeds have a 23% reduced risk of all-cause death. I am not here to suggest that you use a sunbed. That is up to you. I have my own sunbed and enjoy it without the least worry. Just be sure that when you use a sunbed or engage in sunbathing, do it safely without burning. Pathways. Blood pressure and cardiovascular disease. Photochem. Photobiol. Sci. 2016, DOI: 10.1039/C6PP00336B. Tanning beds in salons do not increase melanoma risk. Tanning bed use, By Marc Sorenson, EdD. Sunlight Institute. Sun exposure and tanning-bed exposure have been much maligned by those who would increase sunscreen sales and other “protection” against melanoma. So a new paper has been written regarding the truth about tanning beds. According to this paper, Risk of melanoma with tanning beds is slightly associated with home use, but there is no significant increase in risk with beds used in tanning salons. This is according to a soon-to-be-published analysis of studies that differentiated between home-use tanning beds and salon use of tanning beds. The analysis showed that when all tanning devices were considered together, tanning bed use was associated with a 15%-20% increased risk of melanoma. However, when home-use tanning was separated from salon use, salon use showed only a 5% increased risk, which was not significant. In other words, there may have been no risk whatever. In fact, in three of the studies that were part of the analysis, overall use of tanning beds associated to a lessened risk of melanoma. Therefore, if there is any increased risk of melanoma with tanning-bed use, it is all due to the use of home units. This is what we might expect, since salons take care to assess skin type and monitor the time spent in the unit. Tanning bed use is associated with a reduced risk of clots. Tanning-bed use is associated with stronger bones. A 20- year study demonstrated that both sun exposure and tanning-bed exposure reduced the risk of death; women who used tanning beds were 23% less likely to die of any cause than women who did not use them. The key to safe tanning-bed use is the same key as for safe sun exposure: Don’t be taken in by the anti-sun, anti-tanning movement. Hoel, D. Commercial Tanning Salons and Melanoma Risk. Letter to the editor, Dermato-endocrinology. Not yet published. Lindqvist PG, Epstein E, Olsson H. Does an active sun exposure habit lower the risk of venous thrombotic events? A D-lightful hypothesis. J Thromb Haemost. 2009 Apr; 7(4):605-10. Does Sunscreen really do any Good? 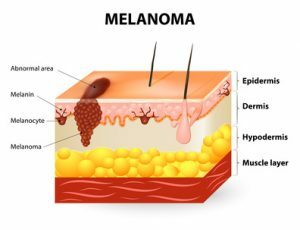 Most people believe that melanoma incidence is increasing rapidly, and that complete avoidance of sun exposure is the answer to preventing the disease. And of course, we must always wear sunscreen, even in the winter. Occasionally, however, there are research studies that belie those beliefs and quite simply show that sunscreens are at best worthless and at worst toxic. A very-well-done piece of research in Northern Europe compared melanoma incidence rates with sunscreen use during a period of time from 1997-1999 to 2008 and 2012. One of the most interesting findings was that higher income people had significantly higher melanoma incidence, and that increased sunscreen use by those people had not prevented them from being at higher risk of melanoma. In other words, we see this equation: Higher sunscreen use=higher melanoma risk! We know that people who work outdoors regularly have far less risk of melanoma than those who work indoors. This research backs that fact, because it is obvious that higher-income people spend much more time indoors that poorer people who work outside. Those higher-income people also have more money to spend on sunscreens. The best protection against melanoma is regular sun exposure. Safely enjoy it! Williams SN, Dienes KA. 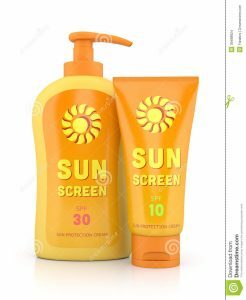 Sunscreen Sales, Socio-Economic Factors, and Melanoma Incidence in Northern Europe: A Population-Based Ecological Study. SAGE Open December 14;1-6.